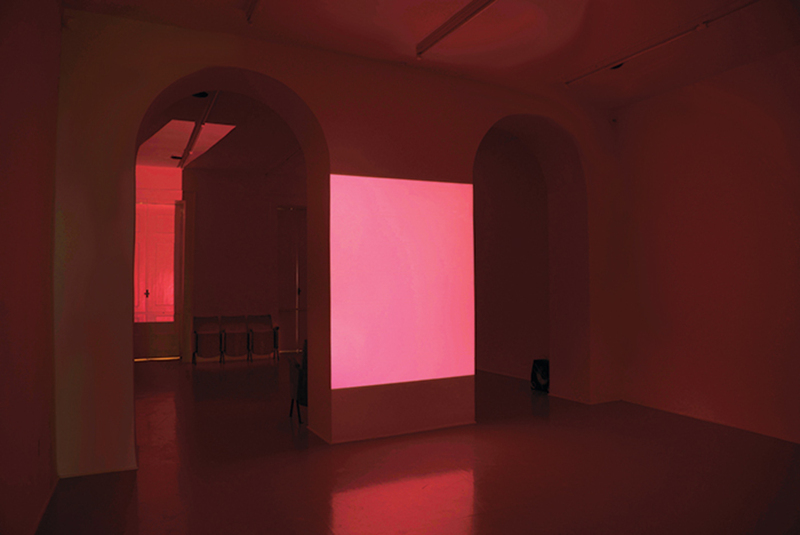 View of “Seb Patane,” 2014–15. Anxiety was the theme of Seb Patane’s recent exhibition at Galleria Fonti. The show was aptly titled “Abdomen,” in reference to the part of the body generally struck by illnesses of emotional and psychological origin, and particularly those traditionally associated with the pathology of hypochondria. Patane’s project, inspired by the binaries found at the root of theater (reality and fiction, honesty and dissimulation), was as dense and well-structured on a semantic level as it was radical in formal terms. The presentation was simple: Two installationsone consisting of video and sound, the other composed only of soundoffered a play of verbal and abstract acoustic reflections, through which history and personal experience established a concise, almost symbiotic dialogue.